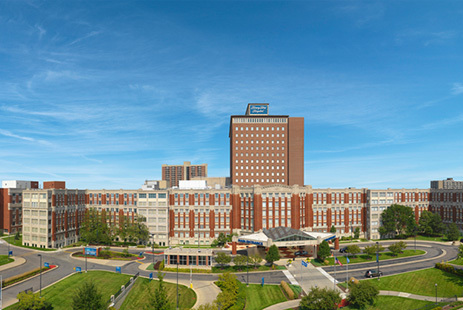 Henry Ford Hospital in Detroit has received a national designation recognizing its expertise in diagnosing and treating patients with pulmonary fibrosis. The hospital is the first in metro Detroit to be designated in treating pulmonary fibrosis, and one of three hospitals in Michigan designated as a new Care Center by the Pulmonary Fibrosis Foundation (PFF). As part of the designation, Henry Ford Hospital is now part of the PFF’s national Care Center Network, which has 60 sites in 30 states. Henry Ford is now a referral center for pulmonary fibrosis in Michigan. Its Interstitial Lung Disease Program specializes in diagnosing a treating a group of lung disorders in which the small sacs of the lung and surrounding structures of the lung become inflamed or scarred. The program brings together experts in pulmonary medicine, rheumatology, radiology, pathology, nursing, and social work. The PFF estimates that 50,000 new cases of pulmonary fibrosis are diagnosed each year, affecting one in every 200 adults ages 65 and older. Symptoms include a dry, hacking cough, shortness of breath, and fatigue. There are more than 200 types of pulmonary fibrosis, so treatment options vary but include medication, oxygen supplementation, clinical trial therapies, and lung transplant.